This week I had the great pleasure of co-hosting the podcast with my sister Sarah! We are kindred spirits and best friend sisters. When we talked about what our topic would be, we decided on a mutual love we both share: Celtic culture. We have both been drawn to the music, the imagery, and the spiritual legacy of the Celtic world (Scotland, Ireland, and parts of England, Wales, and Cornwall). There is something compelling, haunting, and beautiful about it. In the podcast today, we explored three examples of the rich legacy of Celtic Christianity: the beautifully illuminated manuscripts of the Irish scribes, the evocative and mystical prayers of the highlands, recorded in the Carmina Gadelica, and the aching, lovely, modern expression of Celtic music by Loreena McKennitt. We had a blast preparing this podcast for you. And we also learned that our voices sound very similar! Genetics, man! We are delighted to share this delight of ours with you! We hope this podcast gives you new paths to explore and beauties to enjoy! 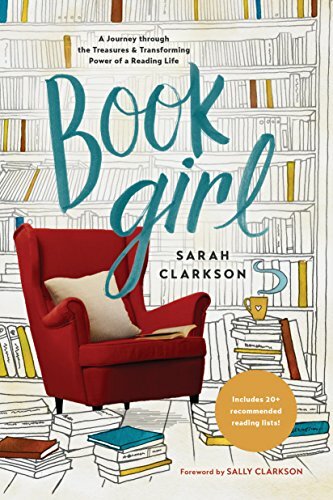 Sarah (my sister) is a soul filler: she takes beautiful pictures, she writes beautiful words, and she just published a beautiful book! 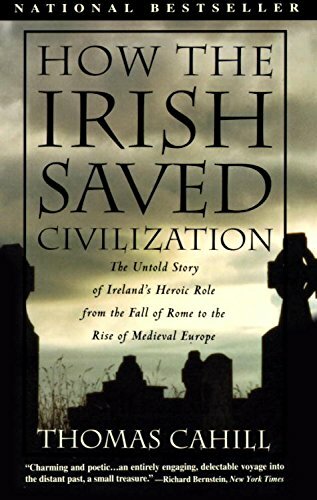 Did the Irish save civilzation? When the Barbarians sacked Rome, some feared that all the wisdom of the Western world would be lost. The irish scribes saved it. In 410, Visgoths sacked Rome. It was the first time in 800 years that Rome had fallen to a foreign enemy. The country that had conquered and subdued many other countries suddenly found itself under attack. This had huge ramifications for European culture and history. Rome was a literate society that had exported the use of its language for scholarly research. Even Christianity adopted latin, writing many of the early Christian texts in latin. So, as the Visigoths passed over Europe, the fear was that not only would they conquer the cities, but that they would burn the libraries, destroying the Christian, Jewish and Pagan wisdom that had been preserved carefully for centuries upon centuries. This is where the Irish saved the day. This is a modern example of how scribes might have decorated a single letter that began a section of an important passage. Isn’t it beautiful? The scribes scribbled away, saving the riches of Christian and Western literature. The scribes scribbled away in the Hiberno-Scottish and Anglo-saxon missions across Ireland, Scotland, and Northern England. They not only copied for functionality but for beauty, developing their own unique Celtic style, intricately painted, weaving animals and plants into leaves, and brightly coloured. One of the great leaders of this movement was St. Columba (521-597). He was one of the twelve apostles of Ireland. He founded Iona Abbey, a small abbey off the coast of Scotland. That abbey created beautiful works of art and scribal wonders, even while repeatedly being attacked by Vikings. Columba was a priest and a poet. It is to him that the Book of Kells, also called the Book of Columbekill (book of Columba) is attributed in annals entry in 1007. Saint Columba chillin’ like a villain! I talked about Columba and the Book of Kells in another podcast, so you can read more about that here. While Europe burned, the Irish, Scottish and English monks wrote and wrote, preserving the good and true, and adding to the beauty. Through retreat, scholarship, and beauty, one could say they saved civilzation. check out the link below to an online catalogue of images of the book of kells. We live in a world oversaturated with knowledge. What does it look like for us to be the scribes of our world? How can we preserve truth and goodness, and add beauty? What do you think? Saint Bride (1913), John Duncan. The Celtic people had a language of prayer developed from a wonderment at God’s presence in the glory of nature. In their pre-christian years, the Celts were deeply attracted to the glory of nature. They perceived something divine in its intricacy and loveliness. They told stories about and imagined what kind of gods or God might have created it, what he or they must have meant by it all. When they converted to Christianity, they saw Jesus as the answer to all the longings and beauty they saw in creation. This was the God they had always longed for! The myth of all myths! Their art and prayers and poetry, therefore, retain the wonder at nature and that certain Celtic something. They didn’t reject their culture, they simply redirected it toward Jesus. Despite Patrick’s literate influence, much of the Celtic spiritual tradition continued to be passed down by oral tradition. Fathers and mothers, towns, priests, and parts of the country passed down their precious prayers known only by memory. Their beauty was drawn from the places in which they were prayed. They saw God as present in all the ordinary parts of life, and looked to the specific glories of their towns and countryside to praise God. Between 1860 and 1909, Alexander Carmichael (full name Alexander Archibald Carmichael… isn’t that wonderful? ), a Scottish folklorist set out to record these beautiful prayers in Carmina Gadelica. These prayers are beautiful. At the link below you can access all of them. I highly recommend giving them a look, and perhaps choosing one to pray every morning for a week. Perhaps it will infuse your view of the world with wonder! Loreena McKennitt set out to capture the heart of Celtic Music. 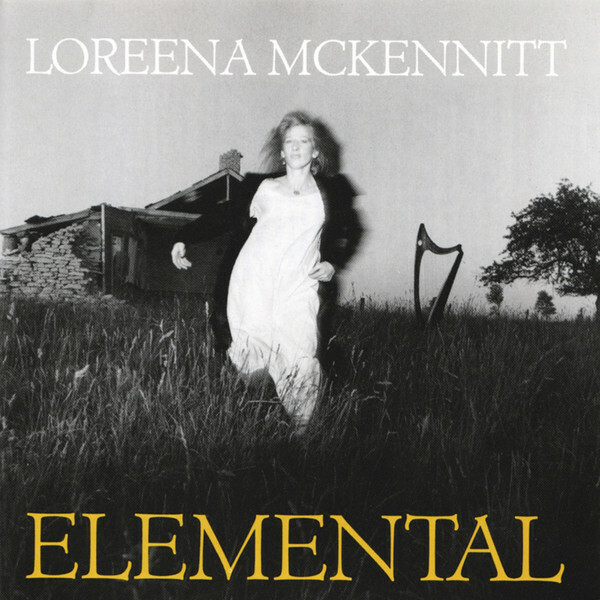 We first learned to love Loreena through her 1985 album Elemental. This haunting album, which was recorded in a studio in a field of sunflowers (obviously! ), aimed to capture the heart of celtic music. McKennitt chose many traditional tunes to fill her first album, along with beautiful settings of poetry. For all you Anne of Green Gables fans out there, she has a lovely setting of the Highway Man. Her wistful soprano voice singing out the gentle and aching celtic tunes have an almost enchanting affect. McKennitt music catches the haunting mixture of desire, grief, and hope that makes Celtic music so appealing. Sarah and I think that because the Celtic people had such a history of sorrow and resilience, their music doesn’t shy away from themes of disappointment and death. But in between the longing, there is an unmistakable shimmer of beauty beyond the darkness. It acknowledges difficulty, pain, mystery, but it calls you more deeply into hope.